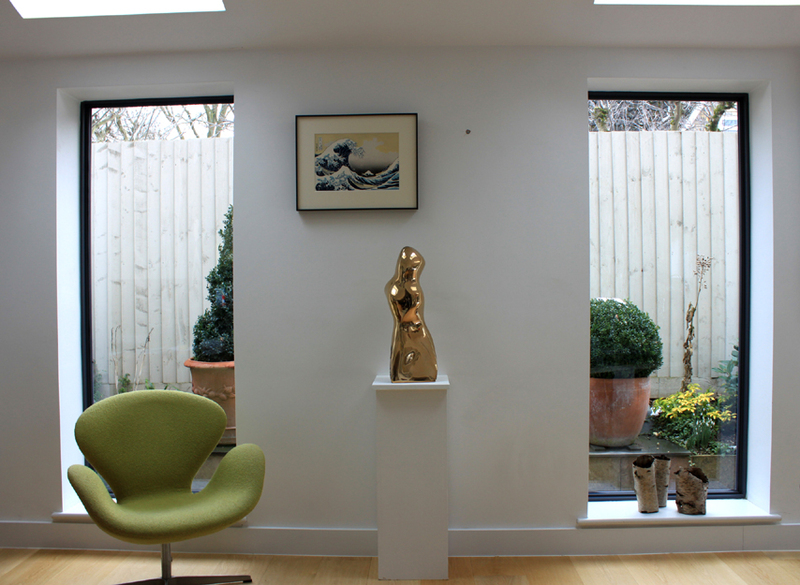 Bronze Eype Figure is a Limited Edition of 9 sculptures cast in Bronze. This example has a mirror polished finish which reflects and contorts it’s reflected images. It is also available in a broad range of patinas. It is signed by Marko with Edition number and foundry stamp. It was cast by Pangolin Editions. Measurements H 58 x W20 x D15 cm.